Bangalore: The Indian Institute of Management, Bangalore (IIM-B) and city developer Century Real Estate Holdings Pvt. Ltd are teaming up in a venture that will collect data and conduct scientific, cross-disciplinary research on the real estate sector. 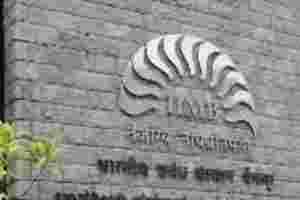 The IIMB-Century Real Estate Research Initiative will create a bridge between the industry, academia and the government, and seek to provide guidance and policy prescriptions to the government and industry stakeholders on major issues relating to the sector, according to IIM-B and Century. Data collected will be documented in academic and practitioner journals. Venky Panchapagesan, an associate professor in finance who is leading the effort at IIM-B, said that despite real estate being a large sector, not much data is available on which any research can be based. Also, data that comes out are largely from vested interests, which is why scientifically collected data is the first step in the initiative, he said. “Though this has national scope at a later date once the prototype is ready, we will start with data collection in Bangalore and Karnataka to begin with," said Panchapagesan. “We look forward to working closely with the government, without competing with the industry." Citing an example, he said that during a time when affordable housing was being actively promoted by the government, there was no objective research on the topic. If this initiative can put out proper research, it could drive policy matters, he said. Property analysts said that with the real estate sector in India not being organized and transparent enough, research data is often not objective or holistic. To begin with, there is no authentic, consolidated pan-India data available on something as fundamental as housing demand and supply in the country, said a property analyst, who didn’t wish to be identified. Between 2003 and 2007, Mumbai-based Pankaj Kapoor set up Liases Foras, a real estate research advisory, and launched Ressex, a real estate sensitivity index. Kapoor said the journey has not been easy particularly when one wants to project unbiased, scientific data and valuations. “There has been pressure from developers to not put out data that will not help the market and surviving that to come out with an unbiased stand has been the biggest challenge for us," said Kapoor, whose firm largely maps demand-supply in terms of inventory, price movement and construction activity in eight large property markets.